Minister for Transport Mahender Reddy attended a private programme which was organised at Yadagirigutta and also inspected the premises of RTC bus stand. Minister for Transport Mahender Reddy addressing a gathering after inspecting the proposed site for RTC bus stand on Friday. 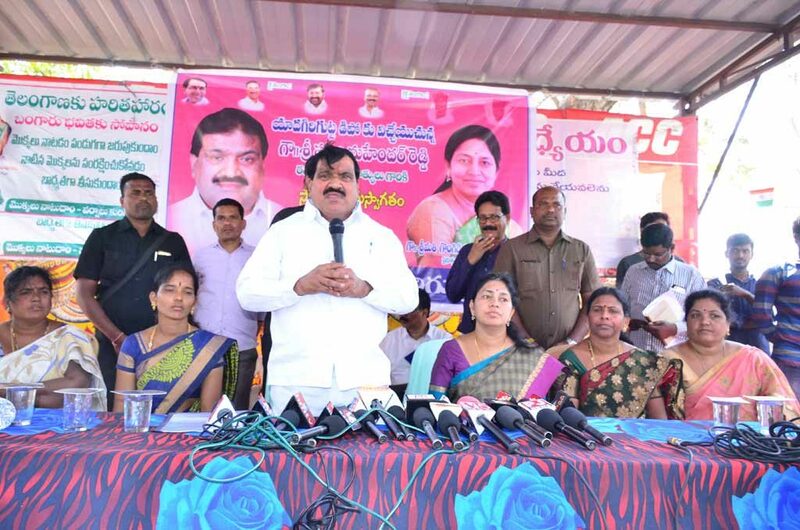 Yadadri-Bhongir: Minister for Transport Mahender Reddy said a new bus stand will be developed in 15 acres at Yadadri soon. The Minister attended a private programme which was organised at Yadagirigutta and also inspected the premises of RTC bus stand. He said Chief Minister K Chandrasekhar Rao had allocated Rs 1,000 crore budget for TSRTC which would help in strengthening public transport system in Telangana. Rest rooms facility would be provided to staff of TSRTC at all depots. He said Rs 135 crore had been sanctioned for development of infrastructure in RTC depots of the State. “Of total 97 TSRTC depots in the State, 27 depots registered profits. The loss was also brought down at remaining 63 depots with special initiatives,” he added. Yadadri will emerge as a top pilgrim place soon, he said and added that the Chief Minister had decided to develop new bus stand in 15 acres at Yadagirigutta to improve connectivity. Additional 25 new buses would be allocated to Yadagirigutta RTC dept soon, he added. Stating that the RTC buses were not able to cover 920 villages in the State, the minister said lack of road facility is the reason for this. He said such villages would also be covered by TSRTC buses by laying roads.